First and foremost: Talking to YOU, the students. Inviting students into our office to meet the team and tell us how we can improve the experience. We’re good listeners, we promise. Getting feedback in surveys. Yes, we read every single student response. Focus groups. Small in person sessions where we watch students interact with the learning system. Talking directly to our users and advocates. Lots of calls, emails, and forum discussions. Taking an intensive look at how students use the app. Our business intelligence crew loves analyzing numbers. Weird, right? Our team reflected thoughtfully on what you loved and what you didn’t, and decided to reimagine how you can quickly find what you need to know, learn it, and never forget it. 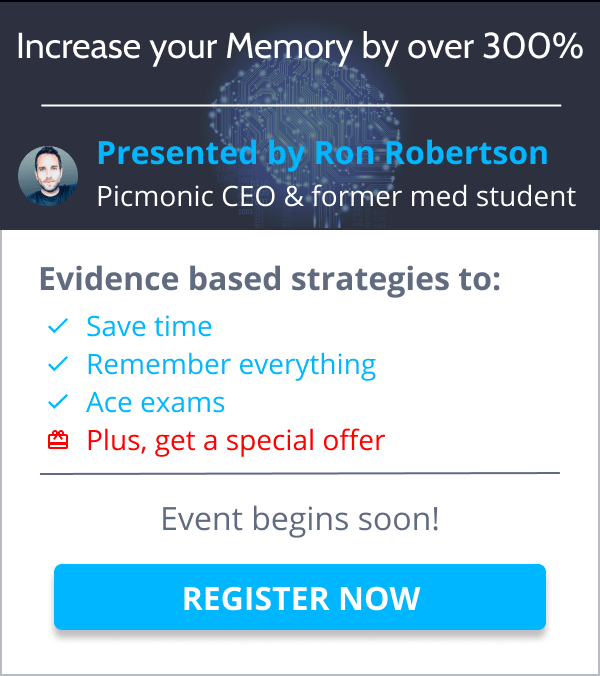 We’ve made Picmonic more engaging, easier to navigate, and a better overall learning experience for you. Zero in on what you need to know faster than ever. The Library was old and outdated code that was crashing and slowing down the app. Its replacement, the Advanced Search Page, is a lean, mean, Picmonic-finding machine. Search is still just a single click away at all times like it always was. Simply click the Search icon and start typing! This page allows you to sort by the newest content and apply a filter, just like in the old Library… plus it has a few new tricks. The new Browse tab will help you find what you’re looking for in one centralized location: Playlists, Pathways, My Picmonics, Recently Viewed, See Everything, and more! With the new “See Everything” feature, you can view an A-Z list of every topic. Plus you can sort by the newest content, and apply a filter, just like you did in the old Library. Our Quiz is algorithmically generated, so it will constantly improve and become more difficult! 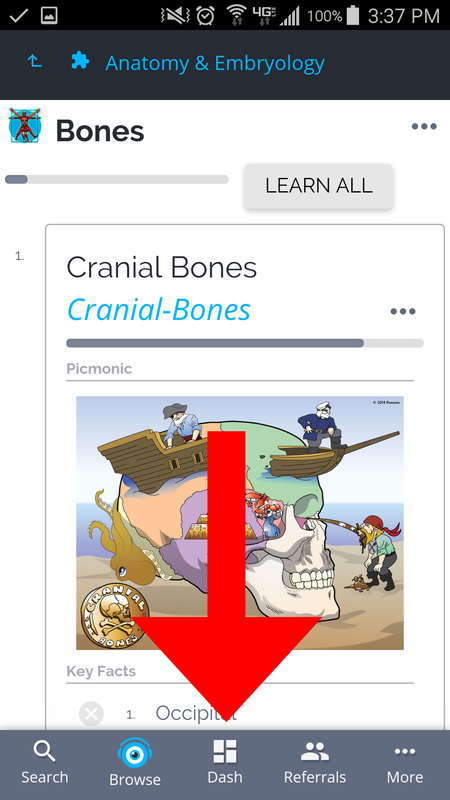 Using Play and Quiz together makes learning with Picmonic easier and more engaging so that you can get into your groove faster. Get every fact correct in the Quiz and you’ll know you’ve officially Learned the topic, which will be represented by your stats that are readily available across the app. To learn more click here! You can know at a glance what else needs to be Learned! Now you will find your stats and progress integrated throughout the app, and they will be based on your Quiz results. Again, get every fact on a topic right, and you’ve Learned the topic. With Community Facts you can more efficiently share knowledge amongst your peers! As soon as we introduced Add a Fact and Add a Character, we saw many of the same facts being added by multiple students, which inspired us to create Community Facts. We’ve compiled the top user added facts and are making them publicly available to all of our Premium members. 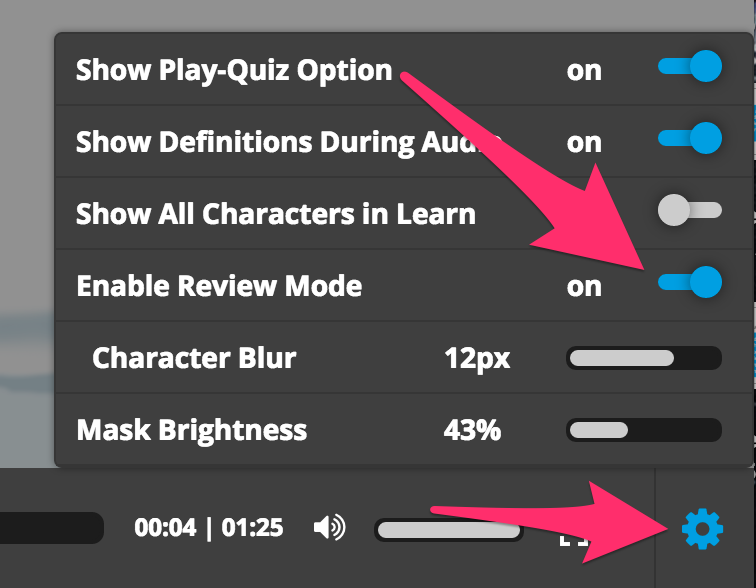 As a community of learners, you can save time studying by reusing facts that other students have already agreed are relevant, without having to create these missing tidbits on your own – all at the click of a button. The main navigation was moved from the top to the bottom so that thumbs of all sizes are happy and can navigate with ease. >What if I have feedback about V3? We always want to hear your feedback- the good, the bad, and even the ugly! Just shoot us an email to feedback@picmonic.com. >How can I access the new Review Mode? Just head to your Player Settings in the bottom righthand corner of your screen and toggle on “Enable Review Mode”. Then you can customize how blurred your characters are by sliding the “Character Blur” option. This is just the beginning of V3! We’ll continue to improve and refine as we get feedback from you. As for what’s up next and how to get early access, check out our beta blog. If you’ve got any questions or concerns, please don’t hesitate to reach out anytime at feedback@picmonic.com. We’re always here to help!